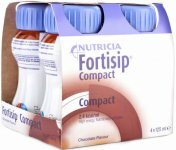 Fortijuce by Nutricia is a ready to drink weight management nutritional drink supplement which is high in calories and energy. 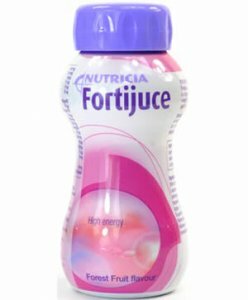 Fortijuce is different from other weight gain and weight maintenance products as it is a delicious juice style drink rather then a ready to drink milkshake style or powdered supplement drink. 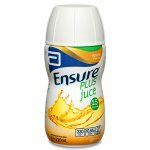 Fortijuce juice style drink is a great alternative weight gain drink for individuals who do not enjoy milkshake style drinks or find them mundane after frequent consumption. Unlike milkshake style shakes, Fortijuce is fat free and is suitable for individuals who are on a restricted fat or even fat-free diet as weight gain is managed by increasing calorie consumption. Enriched in vitamins, minerals and trace elements Fortijuce is perfect for weight gain management. 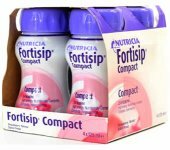 Fortijuce should not be used as a sole source of nutrition as it is formulated to supplement the diet and not replace the normal diet. 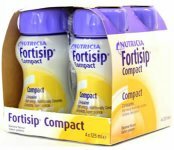 Fortijuce can be used by individuals who struggle to gain and maintain normal weight. 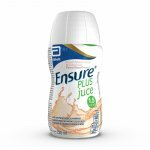 As it provides 1.5 kcal/ml it is suitable for weight gain, especially for patients who are on a restricted diet or find it difficult to maximise daily caloric intake from food and drink. Dosage is to be determined by a clinician or dietitian and is dependent on the age, bodyweight and medical condition of the patient. Please consult a medical professional for more information. 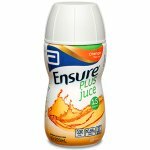 As stated, the number of bottles of Fortijuce to be consumed daily should be decided by your healthcare professional and is dependent upon a number of factors which include gender, weight, age and type of illness. It is also important to consider the amount of food which you are eating on a daily basis and the number of calories you are intaking from your daily diet. The recommended dosage is often 2 bottles per day which provides 600 additional calories to your diet. Fortijuce should be stored in an area which is dry, cool (between 18 - 25 degrees celsius) and not in an area which is being exposed to direct sunlight. Fortijuce is best served chilled rather then at room temperature. 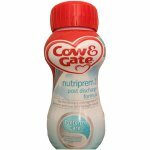 Water, glucose syrup, maltodextrin, milk protein, sucrose, flavour, acidity regulator (citric acid), choline chloride, calcium chloride, L-ascorbic acid, emulsifier (polysorbate 80), potassium chloride, ferrous lactate, sodium chloride, magnesium chloride, zinc sulphate, DL-a-tocopheryl acetate, colour (curcumin), nicotinamide, copper gluconate, sodium selenite, manganese sulphate, calcium D-pantothenate, chromium chloride, folic acid, D-biotin, pyridoxine hydrochloride, thiamin hydrochloride, retinyl palmitate, sodium molybdate, riboflavin, sodium fluoride, potassium iodide, cholecalciferol, phytomenadione, cyanocobalamin.